I don't really have many beach photos so I had a look through some from a holiday at the Gold Coast in 2011. This one struck me as very sweet. 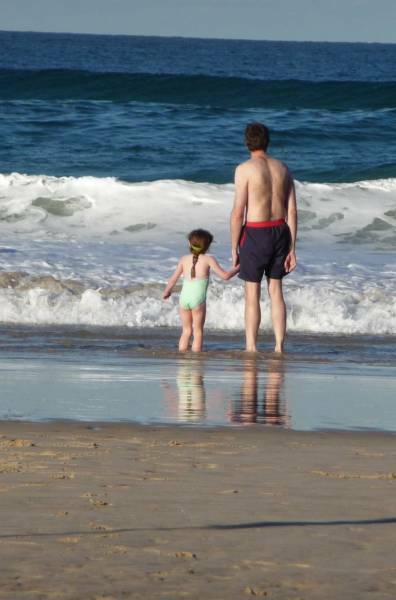 Our little girl was only 5 years old and very unsure about the waves. I don't think they went any further into the water then this. It certainly wasn't very warm, I know I didn't go anywhere near the water for that very reason! It was originally a landscape photo but I've cropped it to focus on them.